The Tee Claw concept was borne from a desire to play better golf from synthetic turf surfaces. 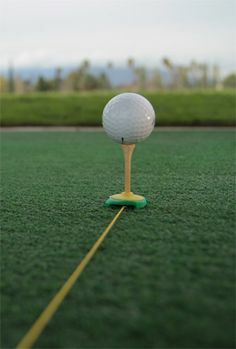 This is where the Tee Claw is revolutionary because now, golfers can use any sized tee from anywhere on a synthetic mat, replacing the old fixed-position rubber tube. The elastic lanyard brings additional value as it provides golfers with a visual aid for correct swing path and foot alignment, replacing bulky alignment rods. The Tee Claw delivers an easy, consistent, and realistic transition from practice sessions to the links for golfers of all levels like never before. The Tee Claw replaces flimsy rubber tubes that slow club speed, cause mishits and unwanted side-spin. The Tee Claw is designed to fasten into a synthetic mat with a clock-wise turn. The Tee Claw accepts real golf tees wood or plastic and even broken tees for desired tee heights. The product is available in multiple color ways and is printable for logo design making it the most convenient and diverse golf tee on the market.